Drinking coconut milk brings you tropical goodness in a can. 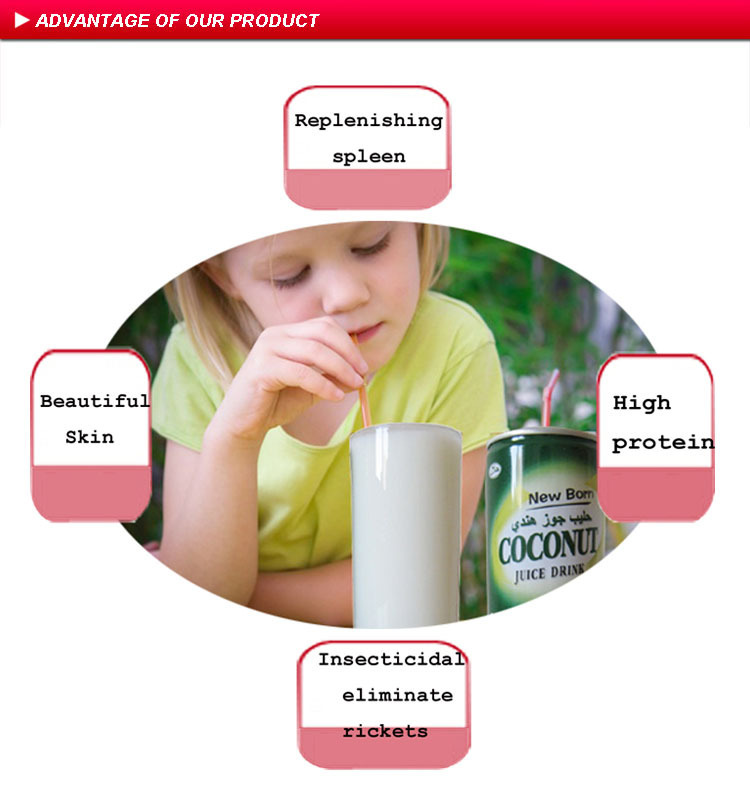 It's packed with the goodness and nutrition of coconut and only has half the calories of cow milk. This refreshing and delicious drink is ideal for health conscious living. HACCP, ISO, HALAL, QS Certificates. 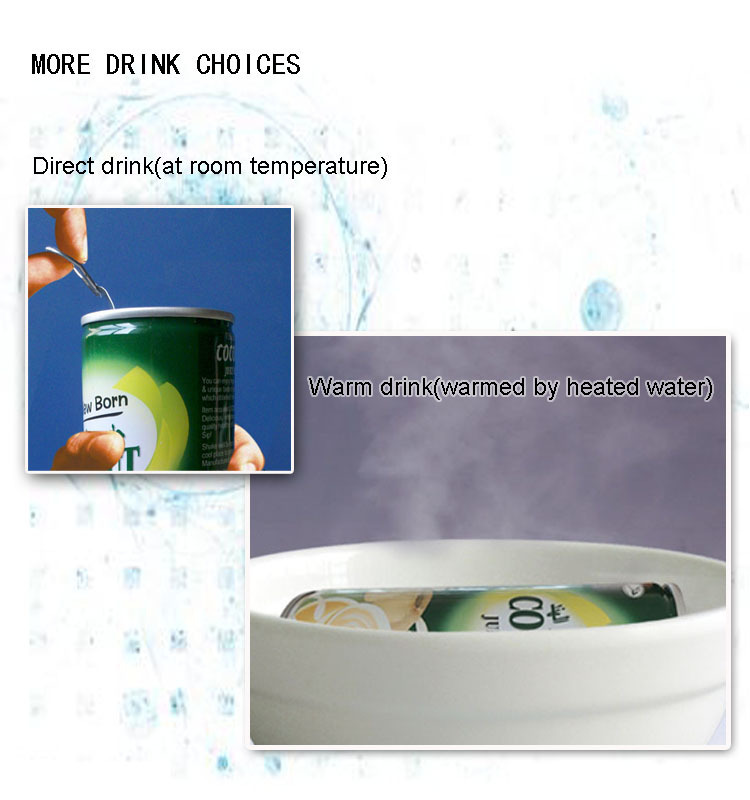 It can be drink directly or after warmed. No alcohol, no gluten, no colors. Payment Method: 50% deposit, 50% against B/L copy or irrevocable L/C at sight. Shipment Method: 20'GP containers by sea. Yes, We can send you free samples less than 4 cans(include) if you prepay the courier charge or accept freight collect. Thank you. 2.Can you refund the courier charge of samples after I place order? 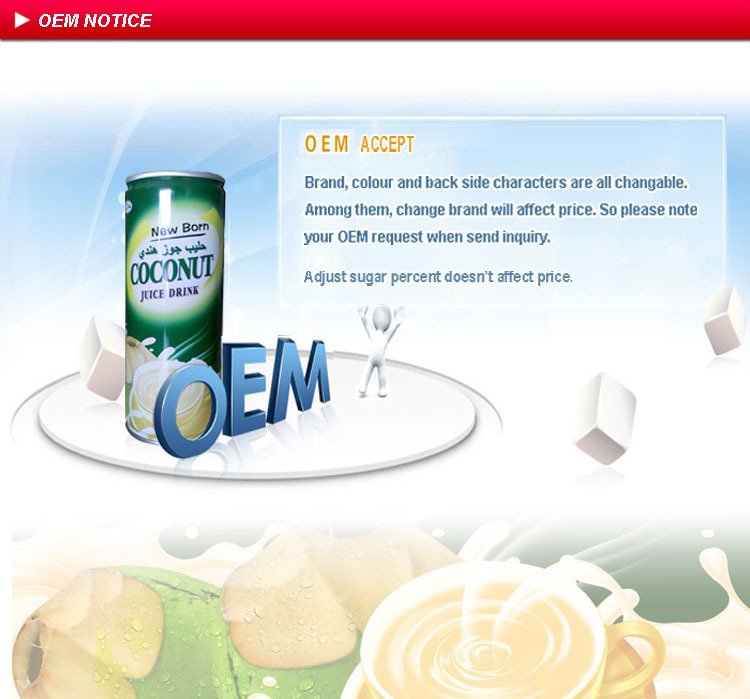 Yes, the courier charge will be deducted from the buyers` balance payment .Thank you. 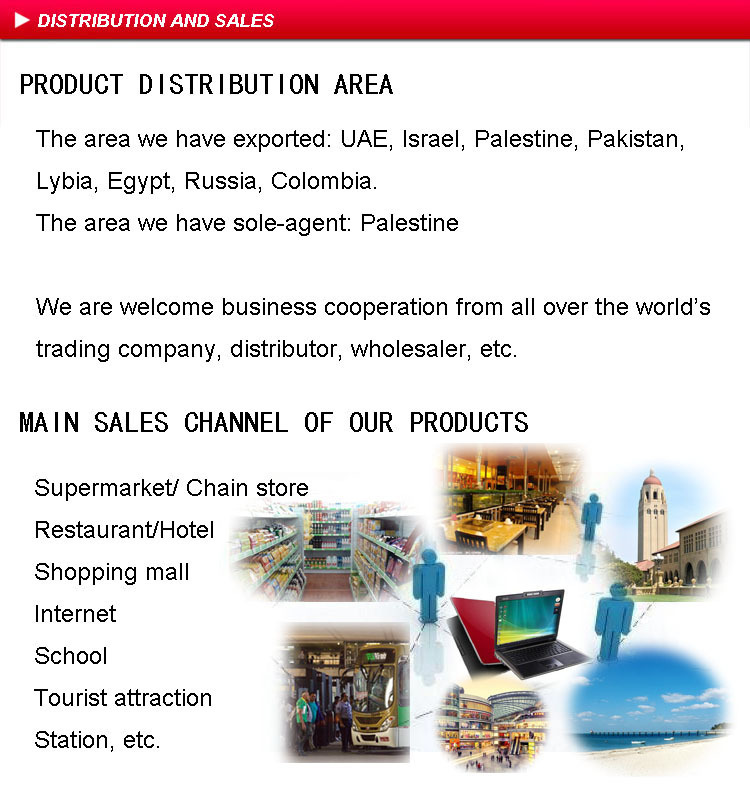 3.Can you send the samples to my Chinese agent? Yes, please tell me your quantity and your agent`s contact information first. And please notice the payment to your agent. 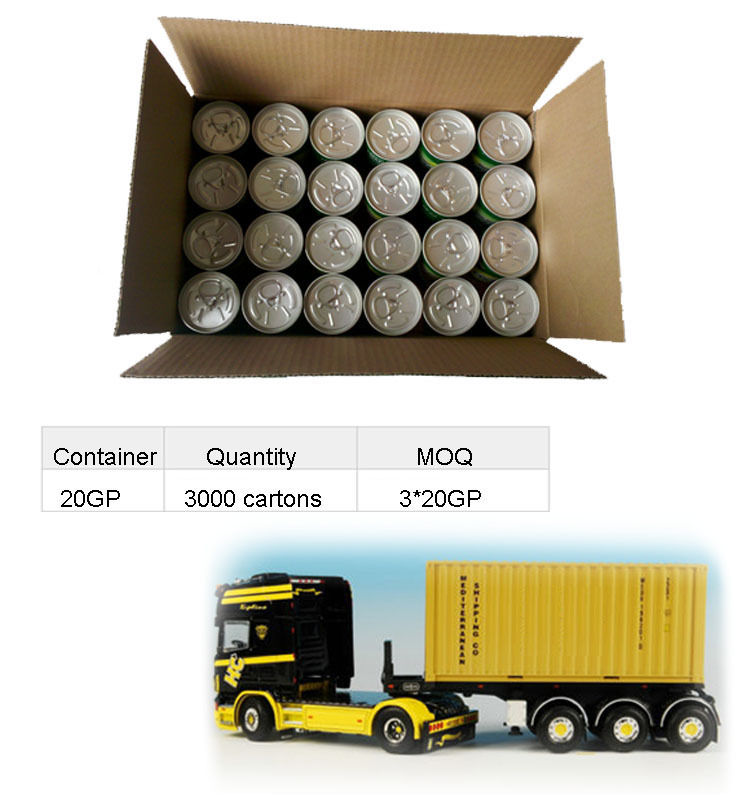 Less than 4 cans (include) freight collect. More than 4 cans we will ask samples charge and courier charge both. Thank you. 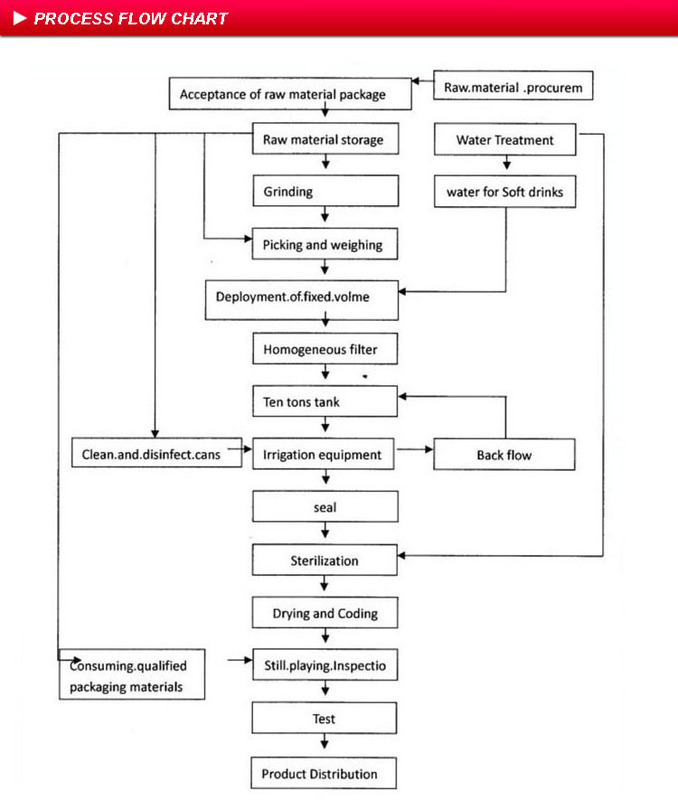 4.How long are your produce period and delivery time? Our produce period is 20 days after plate making confirmed. After it is 10 days commercial sterilization test, then 20 days CIQ (China Inspection and Quarantine) examine. So from order placed to our Tianjin port calculate about 60days. Fully considered the shipment time, please place order in advance 3-4 months before your planned sell time. Detail please contact our custom, thank you. 5.Can you write an invitation letter help me apply for a visa if I want visit your factory? Yes, please you provide your passport picture first. And email me your company name, your position, and the exact time of your arrive and leave. Thank you. More questions please contact our customer service. 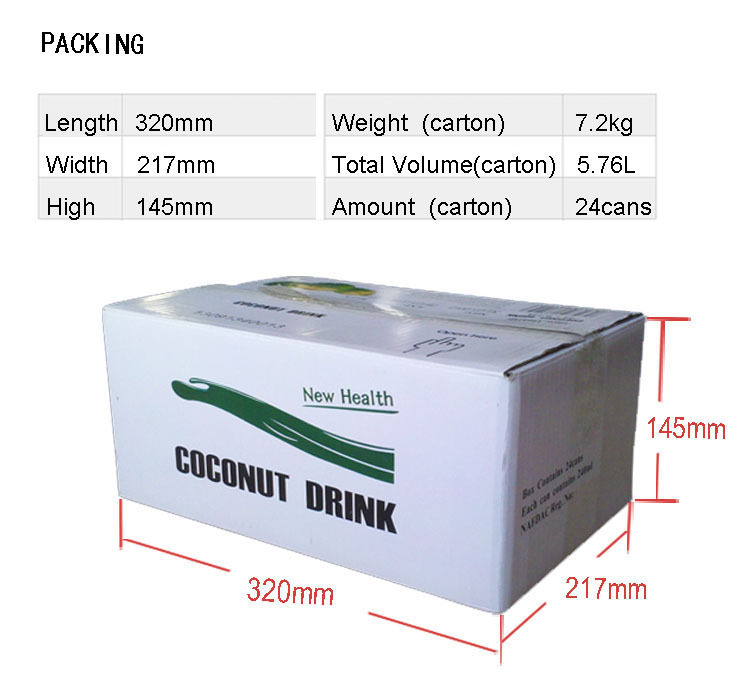 Looking for ideal Plant Protein Coconut Water Manufacturer & supplier ? We have a wide selection at great prices to help you get creative. All the None Alchohol Soft Drink are quality guaranteed. 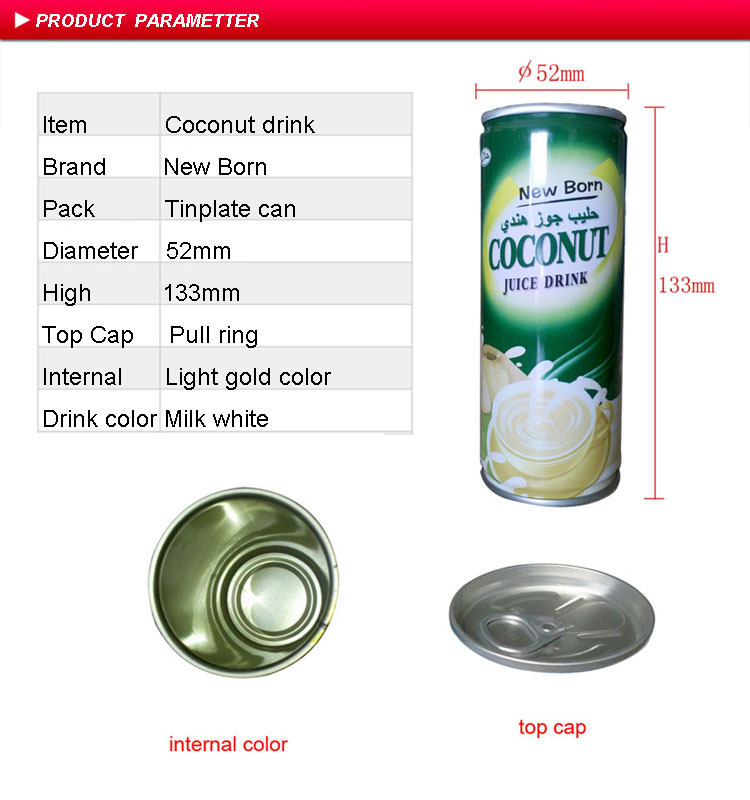 We are China Origin Factory of Soft Drink Coconut Water. If you have any question, please feel free to contact us.